Today’s post is a departure. It’s a review of an exceptional book written by an extraordinary author. First, the review, and then a bit of the author’s amazing personal story. The first thought that came to mind after I finished this engaging novel was it has all the elements for an award-winning screenplay. The River and The Sea is a remarkable story that one can easily imagine making a huge opening on the silver screen. Debut author James Ferron Anderson’s gripping tale of love, hate and redemmption is a must-read for fans of adventure, crime and mysteries, and for literary aficionados who thrive on wonderfully inventive writing and writing styles. The River and The Sea is an award-winning story that offers readers a plot as creative as Anderson’s writing style is gripping and pioneering. At first glance the core plot could appear passe . . . until the reader finds themselves transported back into early 20th Century Canada where the lover of a war veteran’s wife sets out to murder her husband in an most unusual manner. Sarah Underhill’s husband is overseas during World War One, leaving her to run their orchards on irrigated lands that nature never intended for that purpose. She hires young Jack Butler, and then discovers he is both a criminal and an irresistible lover. A storm destroys the irrigation system on which the area’s prosperity depends. When her wounded husband Edward returns, Sarah turns away from Butler thereby making both of them targets for Butler’s hatred. A devious Butler invites Edward to seek wealth in the Canadian arctic where he is in fact planning Edward’s death. The title reference to the sea is obvious. But discovering the relevance of ‘the river’ will offer readers both adventure and a host of unexpected surprises. To top it all, this remarkable Irish author has an intriguing personal story of his own to tell, with as many hair-raising twists and turns as the treacherous roads of his most entertaining novel’s mountainous setting. The River and The Sea is well worth investing the time and money. For then, you will be ahead of the game when you begin hearing much more about this engaging novel and its most capable author, in the very near future. It’s a wonderful tale, brilliantly told. 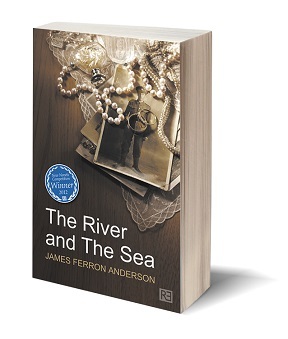 James Ferron Anderson’s own story is laced with experiences that make him almost as interesting as the backdrop to his novel. Some of that story: Anderson is an Irishman living in the UK who brings his family to British Columbia every chance he gets . . . for visits with the long lost brother he reconciled with just a few years ago, estranged as a result of alcohol abuse, since conquored. Several years ago, Anderson and his wife moved from Northern Ireland to Norfolk after he was shot through the arm by the IRA while serving with the British Army. He says that was more than enough reason to get their two small children away from the violence and religious bigotry in that troubled region. The River and The Sea was inspired in 2007 while driving with his family through the desert-like interior near Kamloops, BC. 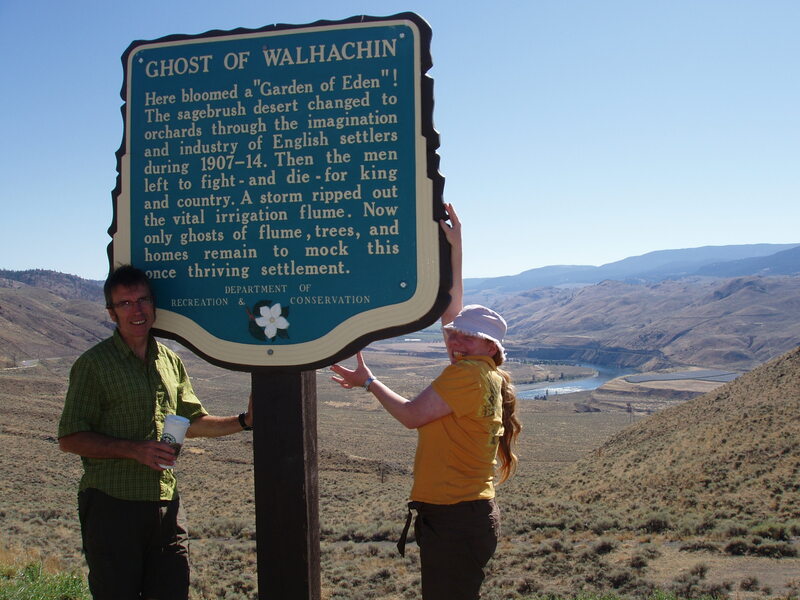 Anderson says they had stopped near Kamloops to photograph a sign that read, “Ghost of Walhachin: Here bloomed a Garden of Eden”. The story began to take shape when he learned that in 1907-1914 irrigation had transformed some of the local desert-like landscape into thriving orchards. But it all ended when the men of the area were sent overseas to die for king and country in the First World War. In their absence, a storm ripped out the irrigation head works. Now, only ghosts remain to mock the once thriving settlement. 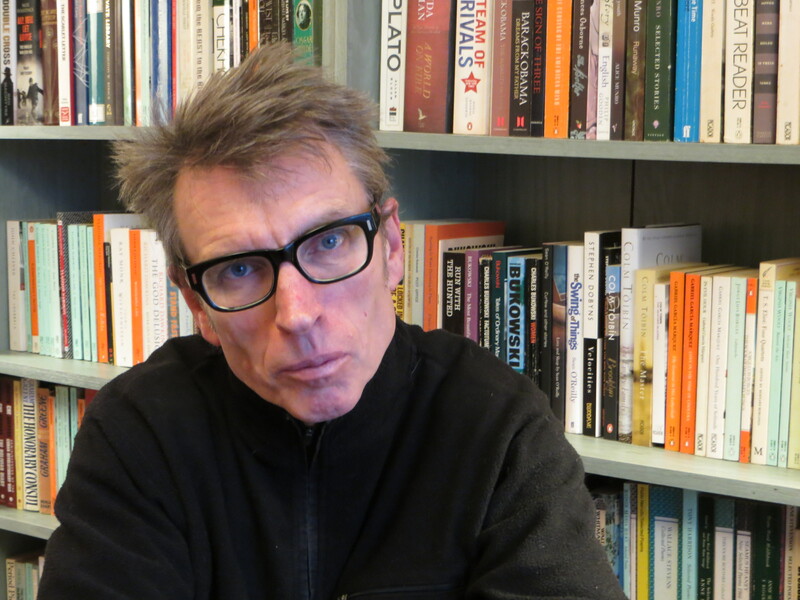 After winning a few writing competitions with other works, he was encouraged to enter his novel in a competition sponsored by Rethink Press, a publisher based in Norfolk, UK. The four independent judges unanimously chose The River and The Sea as the winner. And a touch of irony: like so many emerging writers, Anderson has another job so he can afford to write. His ‘other’ job is working part time at night, stocking shelves in a supermarket. While hardly the glamorous life of a best selling novelist, with The River and The Sea and like novels to surely follow, he is certain to find some of that glamor in his future. Nice write up, James. You hooked me and I will go over to Amazon to see if I can take a closer look at the book. 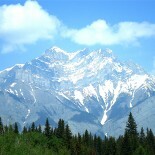 This entry was posted on May 9, 2013 by James Osborne in Collected Short Stories and tagged adventure, arctic, BC, British Columbia, Canada, danger, gold rush, history, love triangle, mystery, orchards, romance, The River and The Sea, veteran, World War I, wounded.